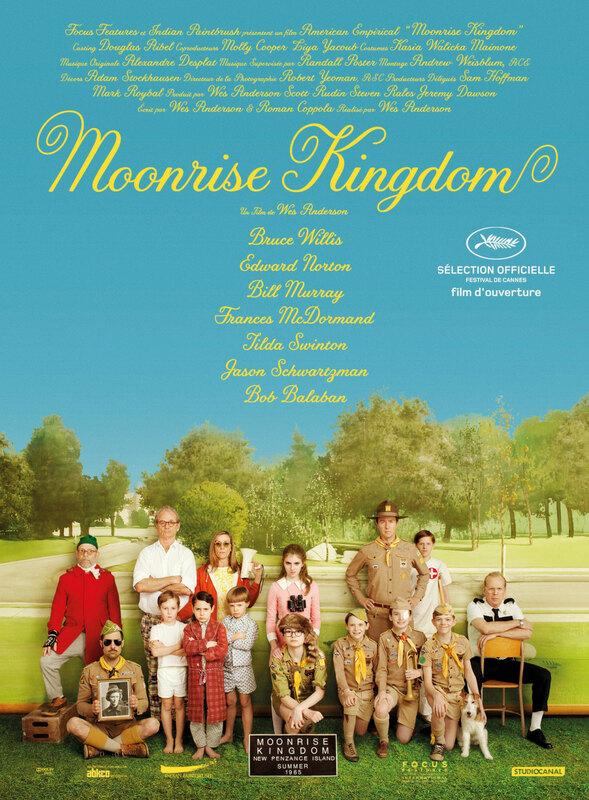 Simplicity is not a quality most Hollywood moviemakers aspire to achieve, but for me it’s part of the charm of “Moonrise Kingdom”, an amusing, low-key movie that strikes a tone unlike any other film this year. I’m a huge admirer of director Wes Anderson, but I’m not one of his can-do-no wrong fans. I loved “Rushmore” and “The Royal Tenenbaums” for instance, but couldn’t care less for “The Life Aquatic”. So I’m happy to report that “Moonrise Kingdom” won me over completely. It’s a gorgeous movie to look at, quirky, delightfully detailed and often hilarious. Newcomers Jared Gilman and Kara Hayward play lonely young kids who meet by chance in 1965 and plan to run away together on the New England coastal island where she lives. This causes concern on the part of Gilman’s scout leader, played by Edward Norton, Hayward’s oddball parents, Frances McDormand and Bill Murray, and the local police chief, Bruce Willis. Like Anderson, Hayward is a die-hard Francophile. She listens repeatedly to a Francoise Hardy song about a lover who sings: “C’est le temps de l’amour, le temps des copains et de l’aventure” (translation: “It’s time for love, the time of friendship and adventure”). By evoking these words, the movie brilliantly reminds us of the joys and horrors of childhood. All the acting is exemplary. Gilman and Hayward, both new to Wes’ World, are revelatory as Sam and Suzy. And all the supporting actors are as good. When in doubt, just keep an eye on Bill Murray and Frances McDormand, who excel at showing a marriage in distress.The script by Anderson and Roman Coppola (both members of the younger generation Coppola “family”) hangs together and delivers a satisfying conclusion. It ties up nicely. Is Anderson one of our deep thinkers? No. But this movie is an adventure in pure imagination that plays to the smart kid in all of us. You won’t be able to take your eyes off it. I think it’s not deep in the literal meaning of the word, i agree, but as you said, it succeeds in evoking certain feelings (i was a boy scout myself :P). Indeed, Simplicity needs to be perfected as well, the movie is implicitly explicit and I just LOVED it. I’ll watch it again. Wes Anderson’s movies are never deep. But damn it the man is talented. My favorite of his will always be “Rushmore” though.